Making do... In general, “any item that has been repaired or rebuilt, generally for practical use” would be considered a “make-do”. In times past the virtues of self sufficiency were held in high esteem. “Waste-not, want not” was a way of life. The essence of which has evolved into a form of art. 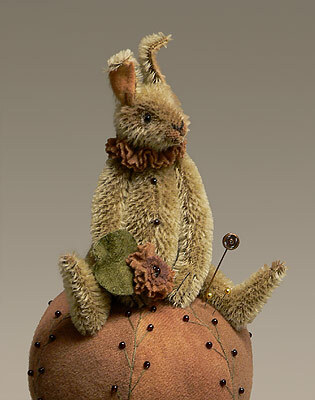 Inspired by vintage sewing items and my love of antique pin-keeps. My “make-do’s” are my own twist on reproducing these fun pieces of folkart.